So, 2016 is almost over (thank God for that), and what better way to help close it out here on Little Weirdos than with a new post on Mystical Warriors of the Ring -- an indie mini figure line based around a fun animal wrestler storyline that I've been covering since it began in 2013. As you might know, the creators of MWOTR make both mass-produced PVC / plastic figures and smaller batches of figures in urethane / resin. 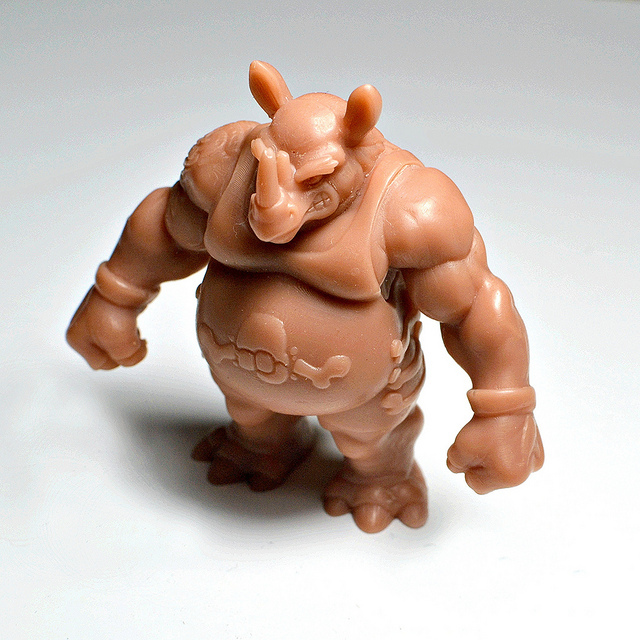 This year there's been a focus on the latter, with some great new sculpts introduced in limited quantities -- the latest of which is the new "Giant" character, Cero the rhino. 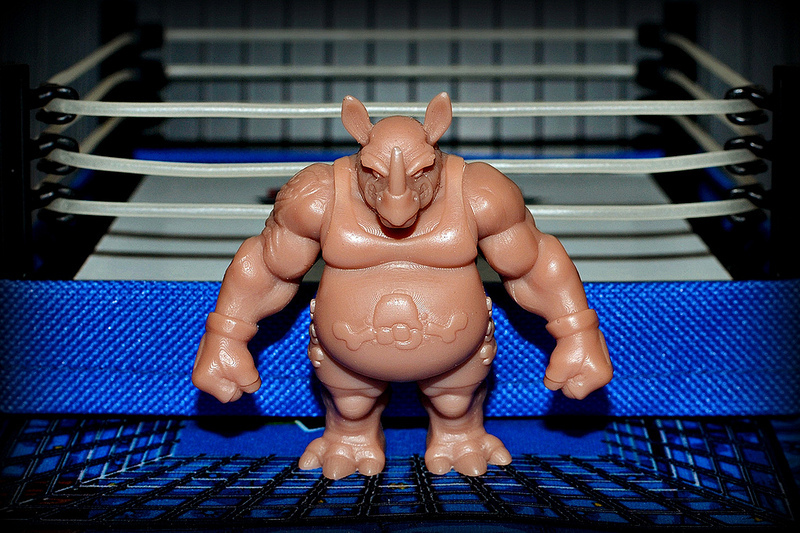 According to a brief character bio on the MWOTR website: "With the bulk of Goliath, Cero charges into the ring taking down any and all who stand in his way. He is no ordinary Rhino, born and raised near a Volcano in Hawaii he has adapted to the heat thus changing the color of his skin." This horned hulk is awesome. He has a fantastic sculpt with tons of personality. There's even an arm tattoo on the sculpt! It would be great to see him become a PVC production piece in the future. 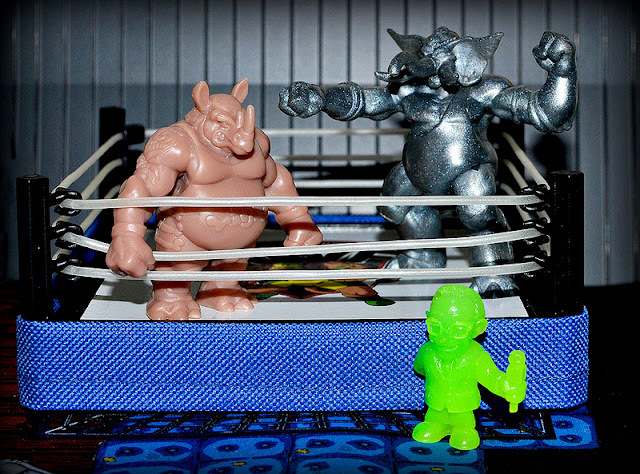 As of writing this, there are still multiple colors of urethane Cero figures available in the MWOTR online shop, in addition to some other recent releases like a pack of plastic accessories and urethane figures of Talos and Referee Barker, two other sculpts from this year. According to the website, there are some "really big plans" in store for the line's 5th anniversary in 2017, so there should be plenty of MWOTR goodness to look forward to.